Discussion in 'SeaWorld Orlando' started by Brian G., Nov 9, 2015. Am I the only one who doesn't want the Jet-Ski coaster? The one over in San Antonio is ugly as heck and boring. I mean, I'd definitely prefer what @RollermanDan described in one of his videos, but if they built a bigger/faster Wavebreaker it's not like I wouldn't ride it. Perhaps, it may be themed to Jet Ski's, but would in reality be more along the lines of a sitdown (similar to Hagrids, if you will). SukaVayne73 and shiekra38 like this. anihilnation and WillQ92 like this. anihilnation, SukaVayne73, Alicia and 2 others like this. shiekra38, Legacy, SukaVayne73 and 1 other person like this. Reminds me of this ride I rode at Ocean Park in HK. It was only okay... as was the rest of the park. I didn't really get the hype. shiekra38, xxbrothawizxx and anihilnation like this. (4/15/19) I heard an interesting rumor the other day regarding future Sesame Street plans for SeaWorld Orlando now that the new kiddie land is open. According to the rumor the park has drawn up concepts for a couple of different Sesame Street themed dark rides that could be added onto the area, possibly taking over part of the Wild Arctic ride building space (which again, is rumored to be leaving later this year). Given the initial popularity of the Sesame Street themed dark ride that just opened at PortAventura in Spain earlier this month, this concept may gain some traction as a possible future park addition. therock, shiekra38, OrlLover and 1 other person like this. Good to hear there’s a 2.0.
therock and Chicagoshannon like this. Not sure if it is for Orlando put a trademark has been put in for SWP&E for ABYSS, how this would be nice for the rumored coaster at SWO for 2020. Hopefully more will come out, but I think this would be awesome coaster name for SWO and to go maybe inside and outside and of course over the water. What do you guys think? shiekra38, LintemuthStudios and Alicia like this. Joe and SukaVayne73 like this. I just spit out my drink while reading your reply Presented by James Cameron? Now all the people here at Magic Kingdom looking at me like I choked drinking my beer LOL, but that would be something right. Don't SWP&E want to do more IP's? Honor_Knight and Alicia like this. 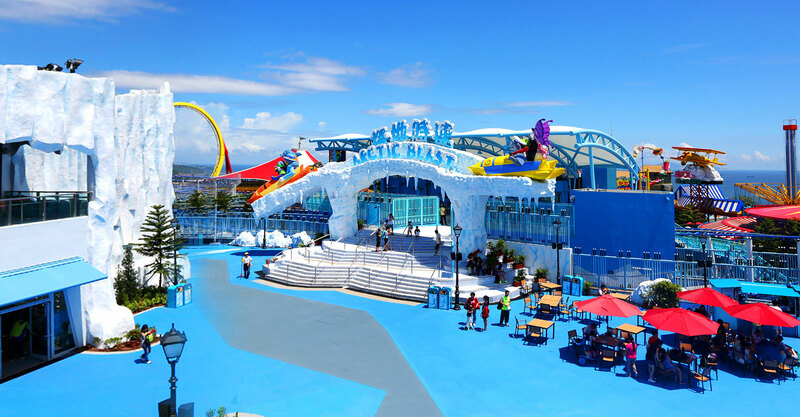 I hope they retheme Wild Arctic's postride habitats and theming into the queue of the ride. Without that value engineering, I'm not confident they won't disappoint on the theming. Mako looks fine, but I thought Sea World had figured it out with Manta. Crossing my fingers it's being themed to a Glacial crevasse or something if it's going to be named Abyss. Great name for an attraction. Alicia and GadgetGuru like this.